Hello everyone, I hope you're all well. Again I've been so slow with the blog posts, life has just been going at an extremely fast pace and I am very grateful to have a few spare minutes to type this up! Todays post is a haul as you can see from the title, and it is one that I have been wanting to purchase for months and months. 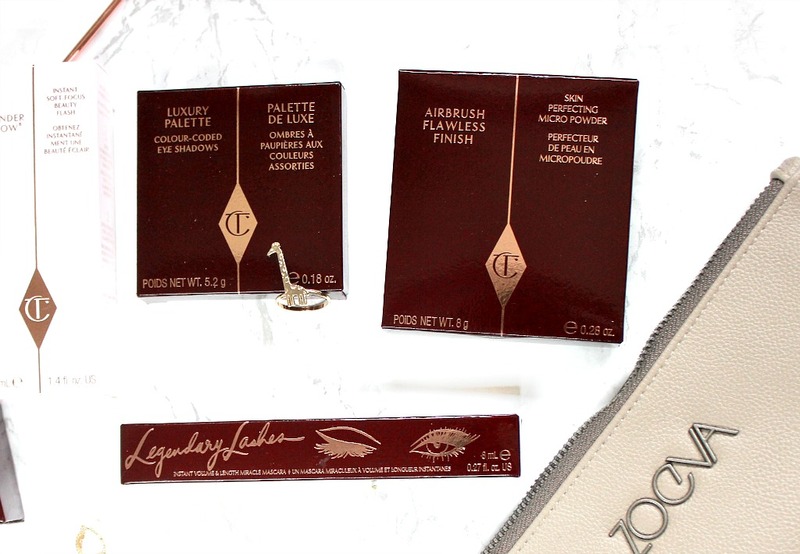 Both the brands Charlotte Tilbury and Zoeva are rather pricy and most definitely a splurge, so I had to wait for a worthy enough occasion before I treated myself. When graduation rolled around and I found out my grades it was pretty much the perfect reason to pick up some goodies I have wanted for quite some time. Some of these items I've been using and some are still brand new and I have no comment to make...yet! 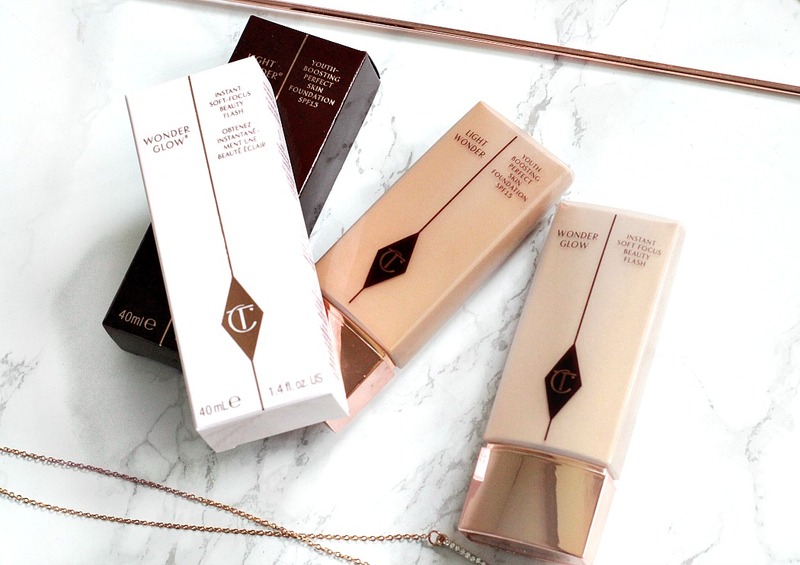 Starting off with cheeky repurchase (cheeky because I haven't even finished the first one tut) the Charlotte Tilbury Air-brush flawless finish skin-perfecting micro-powder (£33.00). I had to pick up another one of these powders, in the shade medium, because it is the BEST powder I have ever used in my life. I used to be anti-powder, I hate my skin looking powdery, cakey and thick so I avoided powder at all cost. Plus I used to have dry skin, so I had no need for the stuff. However this powder really does airbrush the skin, I use a little of it to set the T-Zone when I'm wearing a dewy base, but my primary use for this is to touch up makeup. It pretty much lives in my floral makeup bag and comes around with me wherever I go. Using a small eco-tools powder brush, I gently pat a little of this powder where my skin starts looking shiny OR where I can see visible pores and it literally blurs the skin. Expensive, but well worth the price for sure. Another eye product (which is rare for me, I don't usually splurge on eye products ever!) is the Legendary Lashes Mascara (£25.00), which again is pretty pricy I KNOW. However my favourite mascara for the longest time was They're Real by Benefit and that was around the same price point so not too bad. I have been getting back into wearing mascara of late and I have to say I'm not very impressed with the ethical drugstore offerings...I don't have the time or patience for three coats! 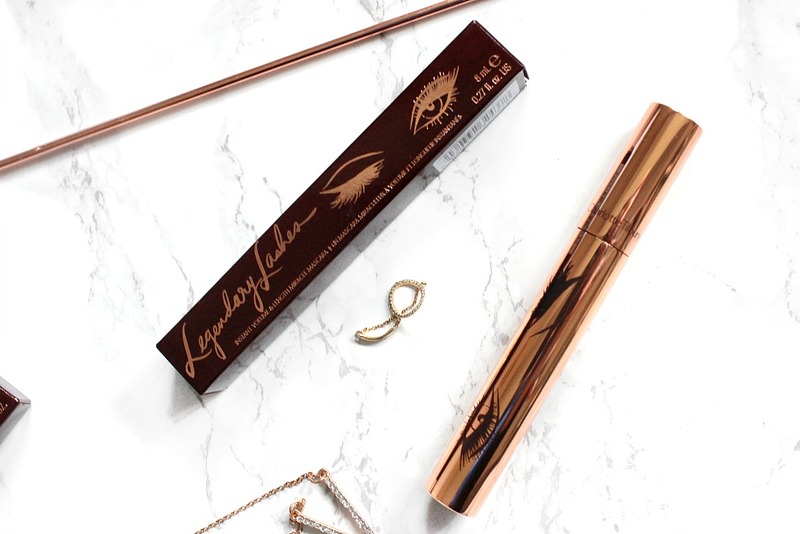 Legendary lashes is the newest offering in the mascara department from Charlotte Tilbury and I have heard nothing but amazing things, so I'm very excited to start using it. There is actually another highend mascara that will be featured on za blog in an upcoming favourites post..who would have though eh? Two base products that I have wanted for the longest time are the Light Wonder Foundation (£32.00) and the Wonder glow skin illuminator (£38.50). I have been using both for about a fortnight and I have to say I don't understand why the illuminator is so pricy, it is BEAUTIFUL and really does give any base you apply over the top an extra glow, plus it can be used as a highlighter alone too. However why it is quite so pricy I'm not so sure...on the plus side you do get 40ml of product so hopefully it'll last a decent amount of time. When reading the product description there is a lot of techno-babble like 'Fluorescent Core Light Diffuser' and 'Collagen-boosting peptides and patented wrinkle-preventing ingredients' which is quite typical of the brand...I'm not sure how much boosting it does but I have enjoyed using it so far. The foundation is GORGEOUS, in the shade 7 which is a little deeper than my skintone but it blends in so well I can hardly tell. In-fact it gives my skin more of a sunkissed healthy glow and I'd say this foundation is the slightly better version of the NARS Radiant Tinted Moisturiser (£29.00), it lasts better throughout the day but has a similar coverage - light and buildable and offers a similar dewy look. The biggest difference for me is that with the NARS TM, sometimes I feel like my face looks a tad shiny rather than glowy...not a big deal at all as a little air-brush powder can fix it up..but yeah there is not a lot between them from what I have tried so far. Moving on to the brushes, Zoeva has been a brand that I have had my eye on for YEARS. Before that I briefly looked at Sigma but the brush sets were £200 and that was far out of my budget! Zoeva used to be a little more affordable...I know they're a business but I did think it was a little unnecessary for them to increases prices by such a large amount (each of the sets are at least £15 more). I totally regretted not buying a brush set back then, but hey ho thats just how the cookie crumbles sometimes. 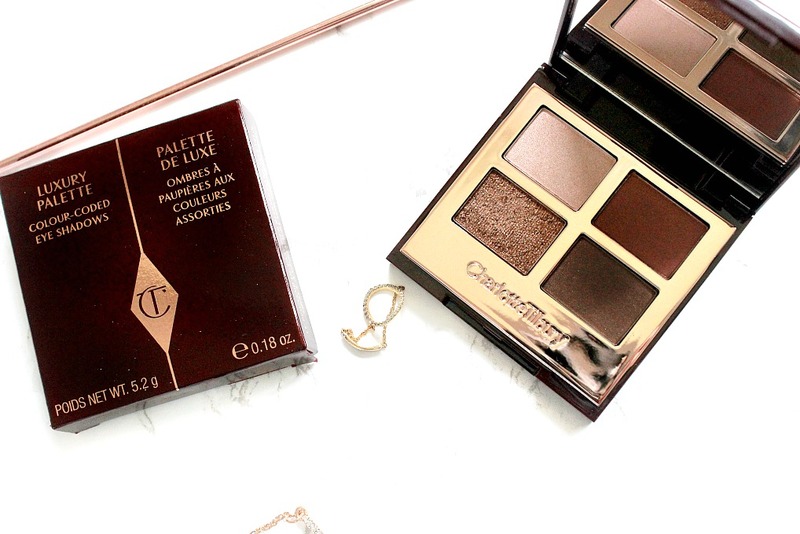 We've all seen and swooned over the rose gold brush sets, they are beyond beautiful! But I knew I didn't want either of the eyebrushes sets because they didn't have the brushes I needed. Since getting more into eyeshadows I've understood how important it is to have a good set of brushes, because the tools themselves do half the work. I already have a decent collection of Morphe and ELF eyeshadow brushes, but I'm definitely missing a few. 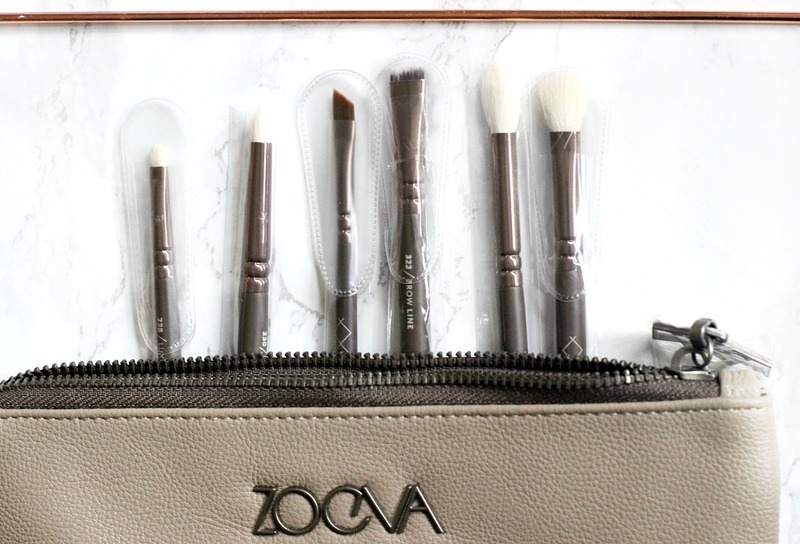 After watching Katy's video of must have brushes (here) I noted down the zoeva brushes she mentioned and amazingly I found almost all of them in this Zoeva En Taupe Brush Set (£40.00)! This is a brush set I've not heard of on any other blog, because the rose gold hype is still so real haha. However I'm really glad I didn't dismiss this, six eyeshadow brushes for £40 is a great deal as each brush is around £9 each, so you do save a fair bit of money. I am almost too excited to take them out of the plastic wrap and use them after saving up and lusting after these brushes for so long! 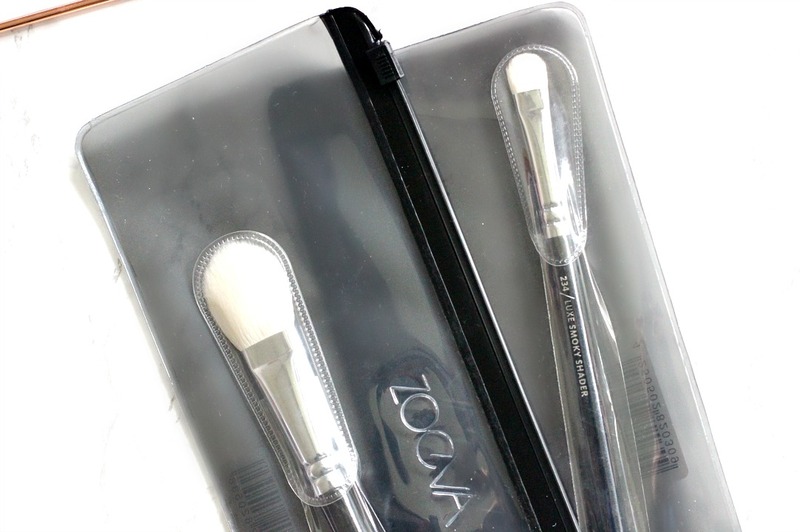 I also purchased two final brushes to add to my collection, the Zoeva 114 Luxe Face Focus brush (£13.00) which was heavily recommended by Onika beauty (post here!). I've been using this to set my under eye and then remove the quick bit of bake and it is just the perfect size! Its a very versatile brush and I totally get why Oni has more than one. Well worth the price tag too. The last brush I purchased was the Zoeva 234 Luxe Smoky Shader (£9.00) another recommendation from Katy. Its the perfect size for packing colour on and although it was expensive I know these brushes will last me for years as they're very well made. And that is the end of my most splurgy haul in a while...the gradation gift to me which I am SUPER excited to start using properly #bloggerprobz!!! 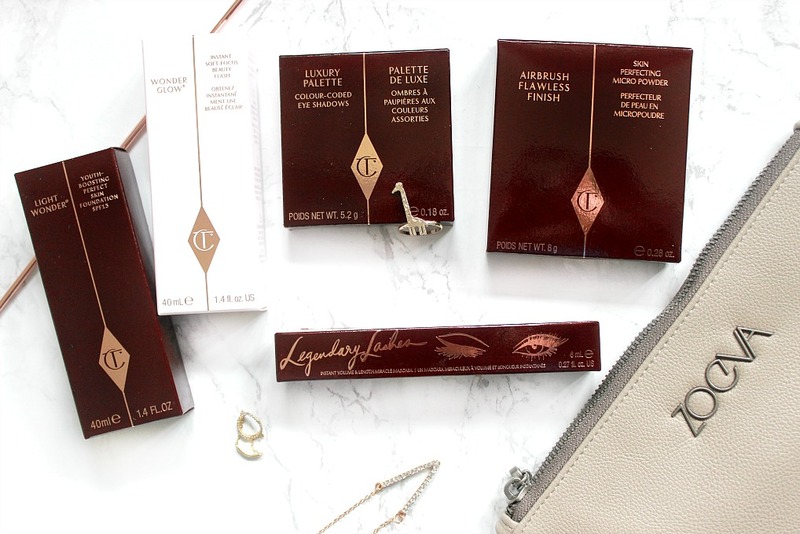 Have you tried anything in this haul?